The wearing of academic costume is a tradition that has persisted from the Middle Ages, when the first Universities were founded. The regalia vary slightly from one University to another, and within a University, according to the status of the wearer. At the University of British Columbia, the undergraduate’s and Master’s gown are black. 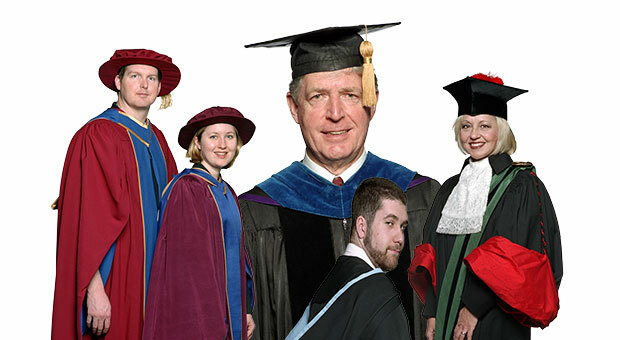 For a unique look at UBC’s academic regalia, see Fashionable Congregation Wear (UBC Reports, May 8, 2003).